The California Energy Commission’s Title 24 Energy Efficiency Standards for Residential and Nonresidential Buildings establishes prescriptive requirements for cool roof materials in new construction or major re-roofing projects. Title 24 defines minimum prescriptive values for thermal emittance, 3-year aged reflectance, and Solar Reflectance Index (SRI). Title 24 requirements apply to all new construction, and to retrofits or additions that replace at least 1000 ft2 of roof space for residential buildings, or 50% or more of the roof surface (whichever is larger). These requirements apply to residential buildings across all of California’s 16 climate zones. In San Diego, Climate Zone 7 (Coastal Communities) is exempt. A cool roof is one that strongly reflects sunlight and also cools itself by efficiently emitting radiation to its surroundings. The roof literally stays cooler and reduces the amount of heat conducted to the building below. If a building does not have air conditioning, this keeps the building cooler and a more constant temperature. If a building has air conditioning, the equipment does not have to work as hard. Imagine wearing a white or a black T-shirt on a hot day. By wearing the white T-shirt you will remain cooler than if you wore a black T-shirt because it reflects more sunlight and absorbs less heat. Cool roofs, like a white T-shirt, keep the internal temperature of the building lower. However, a cool roof need not be white. There are many “cool color” products which use darker-colored pigments that are highly reflective in the near infrared (non-visible) portion of the solar spectrum. Because a white roof strongly reflects both visible and near infrared sunlight, a white roof will typically be cooler than a cool colored roof. The two basic characteristics that determine the “coolness” of a roof are solar reflectance (SR) and thermal emittance (TE). Both properties are rated on a scale from 0 to 1, where 1 is the most reflective or emissive. 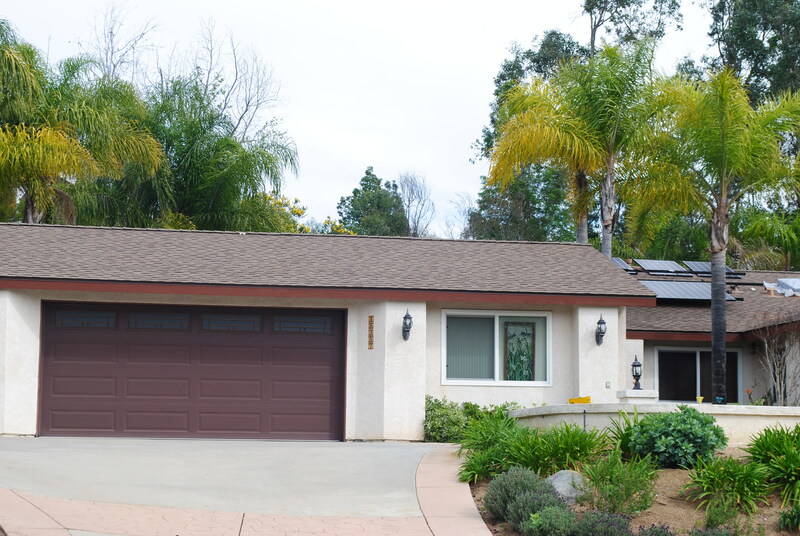 What are the benefits to a Cool Roof in San Diego? Who decides what roofs are Title 24 Compliant and able to be installed in San Diego? The Cool Roof Rating Council is a 501(c)(3) non-profit organization that maintains a third-party, independent product rating program to measure the radiative properties of the surface layer of roofing products. Government entities or other interested parties may refer to the CRRC as a reliable, credible source of radiative property data. The CRRC conducts tests on roofing products based on their energy efficiency and passes that knowledge along to the manufacturers and consumers. This seal on a roofing product, from Asphalt Shingles to Concrete Tile Roofs, means that that product is allowed to be installed in non-coastal climate zones throughout San Diego. GAF Asphalt Composition shingles offer a variety of colors that comply with Title 24 regulations, but still allow for a good match for any home. GAF Reflector Series were just introduced a few months ago and are already a hit.